The library provides computer workstations open to the public. No library card is needed to use the computers. To use a public computer, ask a staff member at the front desk for a PIN number and they will give you a ticket to access an available computer. Each user is allotted 90 minutes of computer time per day. The library’s public computers have Microsoft Office and a variety of browsers. In order to prevent security issues and other problems, users are not able to download files to the hard drive during their computer time. Users who wish to save a project they are working on at the library should do so on a personal storage device before the end of their allotted of computer time. If you plan on filling out an online application or beginning an activity that might take longer than an 90 minutes, notify the staff at the front desk before you begin your computer session so that they can make sure you are able to finish. In compliance with the terms of the Children’s Internet Protection Act, internet content filtering is employed on the library’s public access computers. The library’s usage guidelines for public computer use include prohibition of illegal activities and accessing illegal content. Public access computer users are reminded they are in a public facility and to be considerate of others. Black and white printouts and copies cost fifteen cents per page. Color printouts and copies cost twenty-five cents per page. If you need assistance with printing, the staff members at the front desk will be glad to help you. Users with their own wireless enabled devices can access the internet via a wireless access point provided by the library. The Wifi name is KML_Public and there is no password. The access is not secure. It is inside the library’s firewall. No printer is provided to wireless users. Wireless computer users are reminded they are in a public facility and to be considerate of others. Be aware of others who may see your private information, and of potential hazards caused by power cords in aisles. Do you need to cut shapes or letters for a project at school? Do you enjoy making cards or scrapbooking? The library has two different paper cutting options, the Accucut and the Cricut. Both CriCut and the Accuct equipment can cut shapes and alphabets in paper as well as some fabrics and plastics. 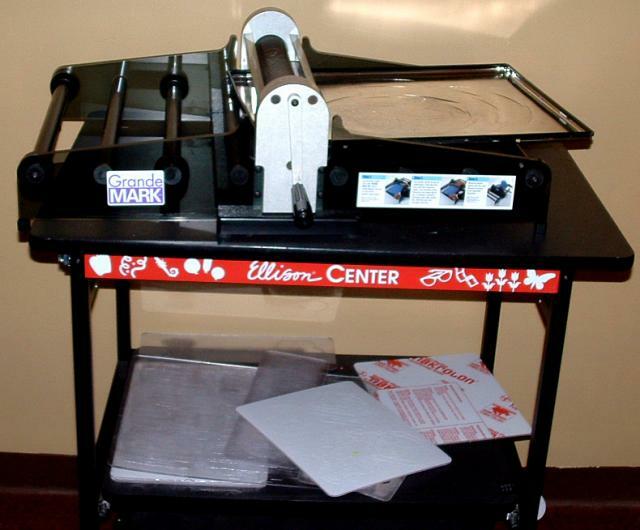 The library’s Accucut equipment uses die-cuts and has the capability of cutting letters and shapes. Because it cuts using pre-made dies, the user can only cut out shapes and letters that are the size of the die. With sufficient warning, the library can borrow additional dies from the regional systems offices. Check with a library staff member if you are interested. 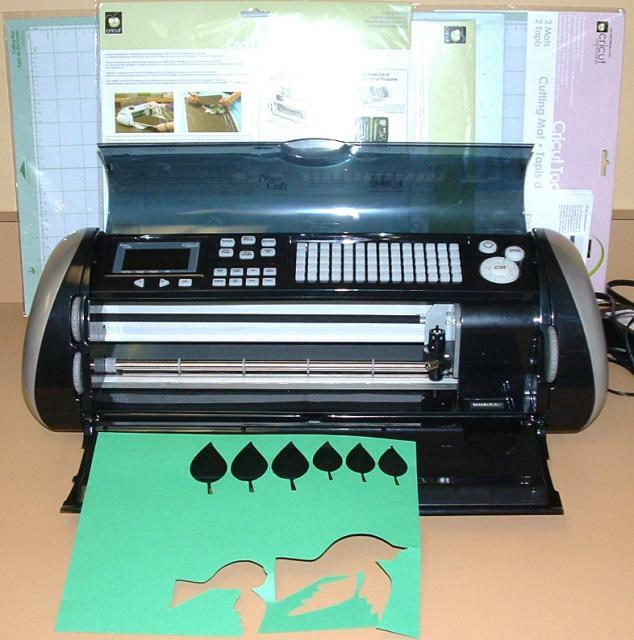 The Friends of the Library group has provided two CriCut Expression cutting machines–one for use in the library and the second for checkout. A selection of letter and shape cartridges was included in this donation, and the Friends welcome suggestions for additional cartridges. The donation vastly expanded the library’s capacity to support the demand for shapes and letters for bulletin boards, posters, scrapbooks, and other projects. Letter and shape sizes are scalable. Many letters will scale up to 12 inches tall; shapes may scale to twelve inches in the narrowest dimension. Go to the page about Cricut Cartridges to find out what cartridges we have and the details of each cartridge. 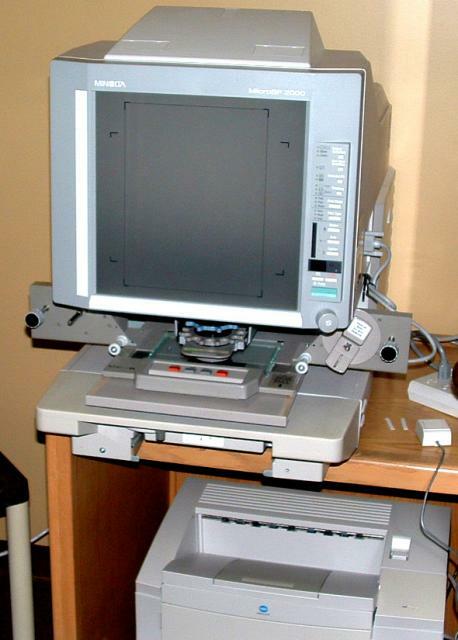 The microfilm reader is used to look through film of past York newspapers. The printer has a zoom lens feature, and can print in positive or reverse polarity depending on the type of film. It is mainly used by people doing family history research or looking into local history using film from the library’s collection of local newspapers on microfilm. 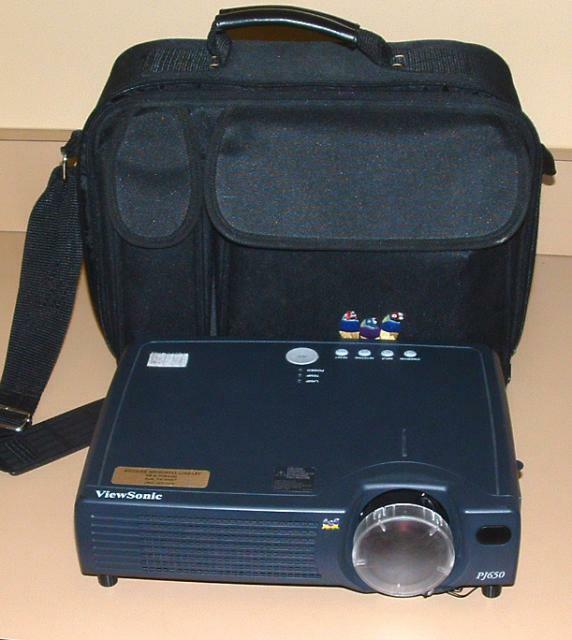 Viewsonic Media projector will accept input from DVD player or computer — it can be used in the library’s meeting room or borrowed for use outside the building. A schedule for its use is maintained at the front desk.